The UK's financial services regulator has fined Goldman Sachs £34.3m for transaction reporting failures that lasted almost a decade. The regulator found the company failed to provide accurate and timely reporting relating to 220.2m transaction reports between November 2007 and March 2017. The £34.3m fine included a 30% discount applied because Goldman Sachs agreed to resolve the case. Without this, the FCA would have imposed a penalty of £49m. The failings in this case demonstrate a failure over an extended period to manage and test controls that are vitally important to the integrity of our markets"
The fine is the largest handed out by the UK Financial Conduct Authority for transaction-reporting failures under European rules known as Mifid, topping the £27.6m fine UBS received earlier this month from the regulator for similar errors. According to the FCA, Goldman Sachs "failed to take reasonable care to organise and control its affairs responsibly and effectively in respect of its transaction reporting". It did not provide accurate reports for roughly 213.6m transactions, and reported 6.6m transactions to the FCA that were not reportable. "These failings related to aspects of [Goldman Sachs'] change management processes, its maintenance of the counterparty reference data used in its reporting and how it tested whether all the transactions it reported to the FCA were accurate and complete," the regulator said. 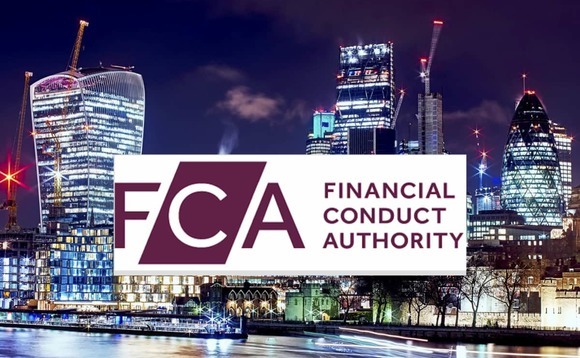 Mark Steward, the FCA's executive director of enforcement and market oversight, added: "The failings in this case demonstrate a failure over an extended period to manage and test controls that are vitally important to the integrity of our markets. "These were serious and prolonged failures. We expect all firms will take this opportunity to ensure they can fully detail their activity and are regularly checking their systems so any problems are detected and remedied promptly, unlike in this case." A transaction report is data submitted to the FCA that relates to a financial market transaction and includes details of the product traded, the firm that undertook the trade, the trade counterparty, the client, and elements such as price, quantity and venue. The City watchdog found Goldman Sachs had failed to take "reasonable care" to report on transactions "responsibly and effectively". The Wall Street bank said in a statement: "We are pleased to have resolved this legacy matter. We dealt with the issues proactively at the time and have made significant investments across the period to develop and enhance our reporting procedures." Linda Gibson, director of Regulatory Change and Compliance Risk at BNY Mellon's Pershing, said: "The recent record fines imposed by the UK FCA on two large financial institutions reaffirms that the regulator expects 100% accuracy in transaction reporting. However, for firms trading a complex range of asset classes running through multiple legal entities, across multiple systems and in multiple geographies, this is nigh on impossible. "Larger complex financial services firms will typically have multiple front, middle and back office systems that all need to feed into producing the required data for transaction reporting. When a new product is offered, or changes are made to existing products, instruments traded, or to the systems that feed transaction reporting data, the change control around these and how it will impact existing IT logic in the firm's systems is key. As evident in both recent enforcement actions, change management controls in ensuring the right logic was applied were fundamentally lacking," she added.